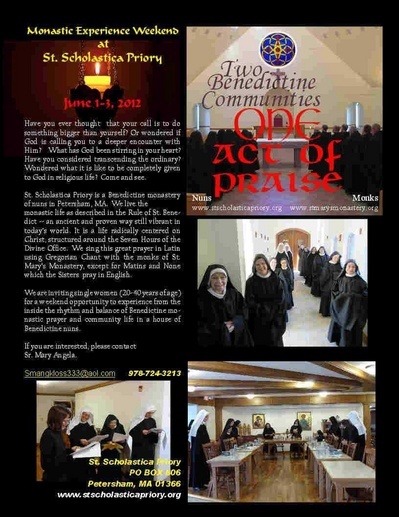 In my opinion, there are few Benedictine monasteries of women in the USA who are serious about the monastic life, and St Scholastica Priory is one. Women, give this Priory a good look. 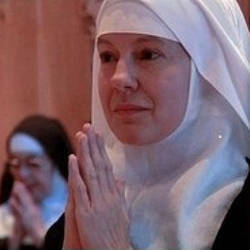 A recent article in the National Catholic Register by Trent Beattie, “Surprising Revival for Men in Religious Life” notes that tide may be turning for some religious orders of men, especially those who remain faithful to prayer, orthodox theological reflection as proposed by the Church, a common life and work and the wearing of a religious habit. Beattie highlights the Texas Carmelites, Connecticut’s Franciscan Brothers of the Eucharist and the Oklahoma Benedictines of the Creak Creek abbey. All of the groups are beautiful expressions of the work of the Holy Spirit today. Our Lady of the Way, pray for us.